With its current study on “Successfully Automating Toolmaking”, the Fraunhofer Institute for Production Technology IPT, together with the WBA Tooling Academy Aachen, has carried out an investigation on the capabilities and the problems with automation in toolmaking. Having had the help of a number of toolmaking companies, the study offers insight into their production structures and provides a view from the companies' perspective for putting automation solutions to use. As part of the study, scientists analysed the capabilities, use and obstacles of automation in the industry. The authors show that action is still required for automating toolmaking in a large number of cases and offer clear recommendations for the courses of action to be taken in future automation projects. The trend shows that the German toolmaking industry has already begun automating its processes. Half of the companies surveyed have already been using automation in production for more than five years. At the same time, seven out of ten of the companies asked are already in the process of pursuing automation projects. However, the study does make it clear that there is still a need for action in a large number of areas. To be able to compete on an international level, toolmaking must continue to develop from its tradition of a mostly manual trade to industrial production. Individually adapted automation designs can be extremely helpful for toolmaking. Companies agree on the advantages that automation provides: It increases productivity and reduces runtimes. On the other hand, the high investment costs required proved to be the largest disadvantage for all respondents. The Fraunhofer IPT provided ten carefully selected companies involved in both internal and external toolmaking for the components supply business, such as the automotive or plastics industry, with a questionnaire. Eighty percent of the companies surveyed had more than 100 employees. The Fraunhofer IPT and RWTH Aachen's machine tool laboratory’s joint toolmaking database served as an additional source of data for the study with more than 1,000 benchmarking data sets that are less than five years old. This has made it possible for the industry to be uniformly refashioned. The study mentions six fields of action, one built on top of the other, for creating the preconditions for successfully using the automation solutions. The respondents know that it is absolutely necessary to securely master their own production processes for every automation plan so as to be able to use the advantages they will get in terms of efficiency. Due to the large number of individual parts and the range of geometries and sizes that the tools have, toolmaking has a low number of identical parts. The necessary standardisation of the components and processes required for implementing the automation solutions is still lacking in toolmaking companies to some extent. To make process automation possible, part, tool, and production data should be made available along the entire process chain. The companies surveyed have already taken the first steps in this area to introduce RFID tags to automatically identify components. The next step involves data accessibility being consistently implemented so as to allow automation to continue. Actively involving employees in automation projects is absolutely necessary for success and can prove to be motivational for other plans further down the line. 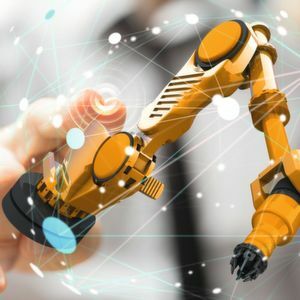 Companies must connect different machines to each other with the help of automation hardware in order to create an automated process that allows materials to be provided and worked with. Uniformly interlinking machines has only taken place sporadically in German toolmaking to date. There are currently still large differences in the degree of automation between the individual production processes. Assessments show that the investment costs are the largest obstacle to implementing automation. The share that automation projects have in the investment budget differed considerably amongst the respondents. Therefore, the Fraunhofer IPT has developed methods for assessing automation problems, which offer companies suitable grounds for making a decision on investment plans, whilst taking both qualitative and financial aspects into account. The full text of the study can be downloaded online from the Fraunhofer IPT.